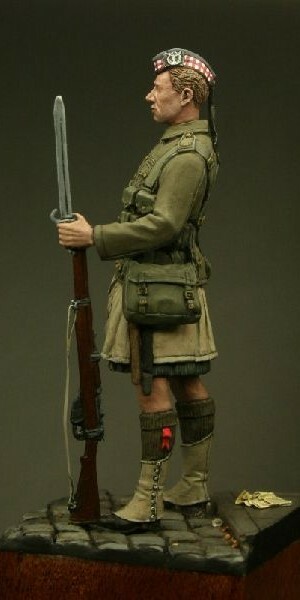 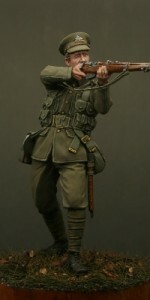 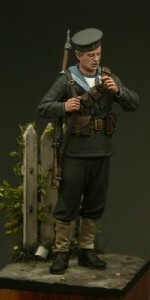 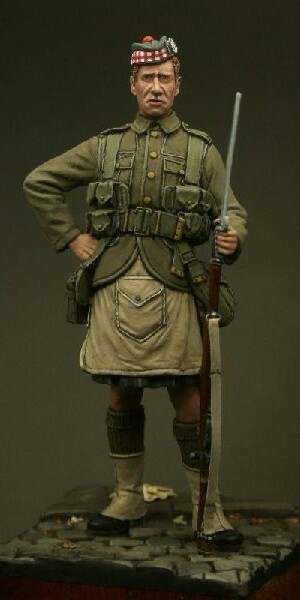 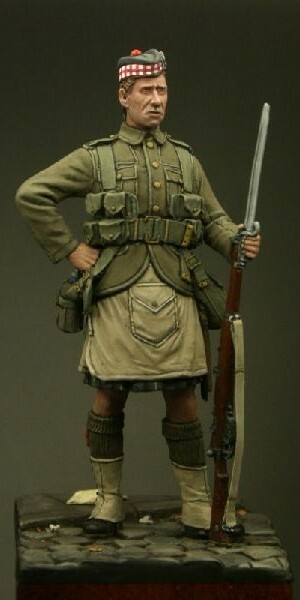 Figure 5 in the series is a Private of the 1st Battalion The Gordon Highlanders posed at Le Cateau in 1914. 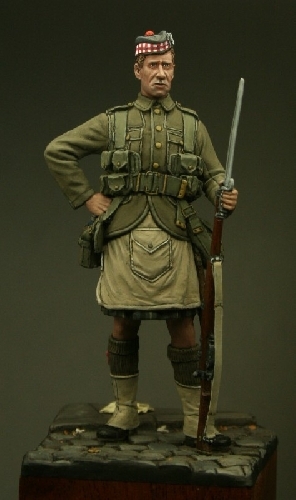 Le Cateau followed the start of the retreat from Mons where the British II Corps performed a ‘stopping action’. 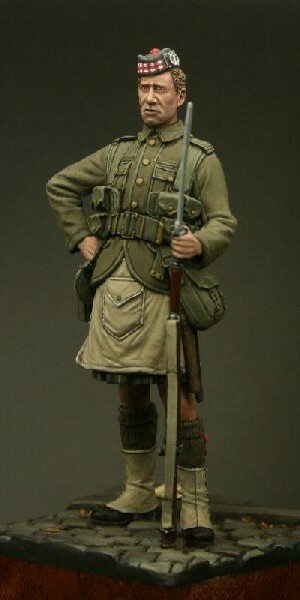 The Gordon’s, heavily involved from day one of fighting, were involved once again and were virtually wiped-out as a fighting force. 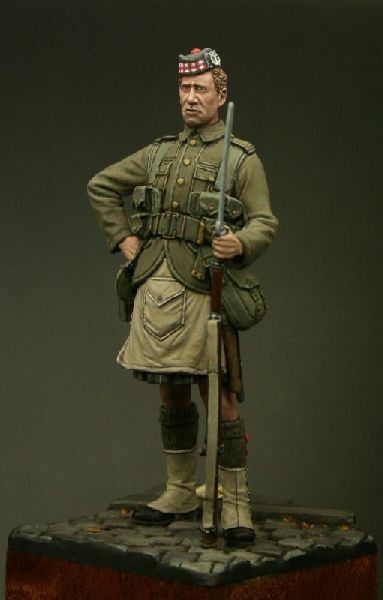 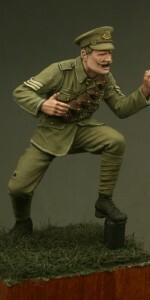 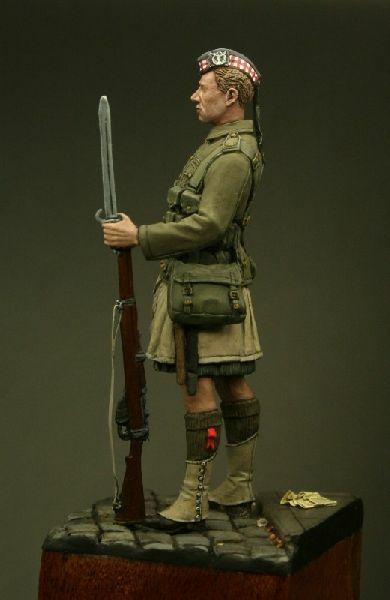 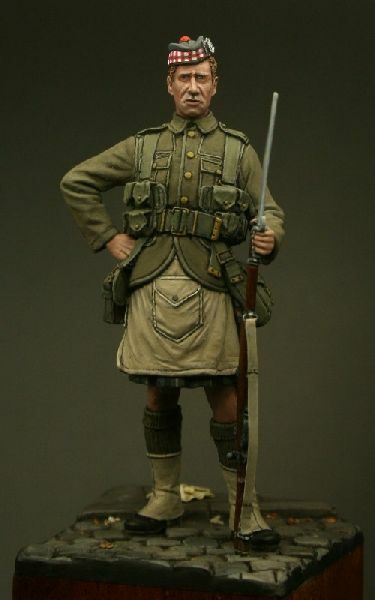 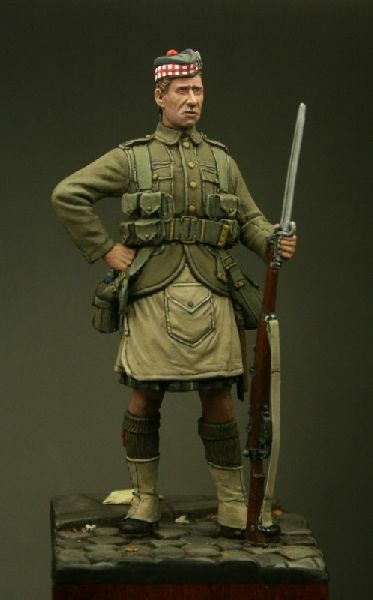 Be the first to review “TW32005 – Private, The Gordon Highlanders, Le Cateau 1914” Click here to cancel reply.